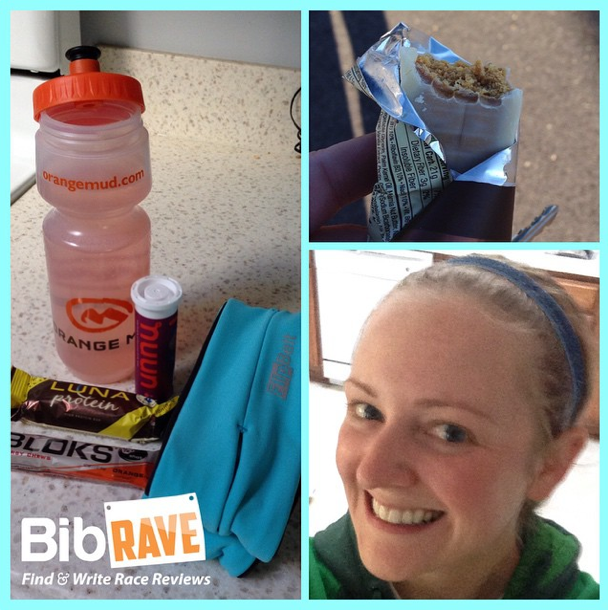 Fueling before, during, and after your runs can be tricky. You want to make sure you get the right kinds of fuel that will help you power your runs along with help with the recovery process afterwards. It can take a lot of trial and error before finding a product or products that work for you. Some people have sensitive stomachs, others have picky tastes (me!). I have trouble with the texture of GUs and other shot-like options. I've found some things that work great for me, but I'm also always willing to try new things – maybe they'll be even better than what I use now. What works for some won't work for others. That's why you have to test different options and see how your body reacts. I've been using Clif Shot Bloks for maybe a year now and have been a big fan. I find them easy to use while running, and have no stomach issues with them. They give me the energy to finish those longer runs (carbs, protein, sodium, and even a little potassium). I've also received a variety of their bars through countless race swag bags and have enjoyed them. I haven't had much chance to try LUNA bars. 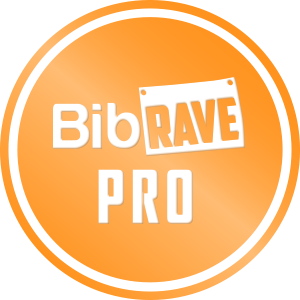 When I heard that Clif and LUNA were sending ALL of the BibRave Pros a shipment of their products, I was extremely pleased. What was in my shipment? 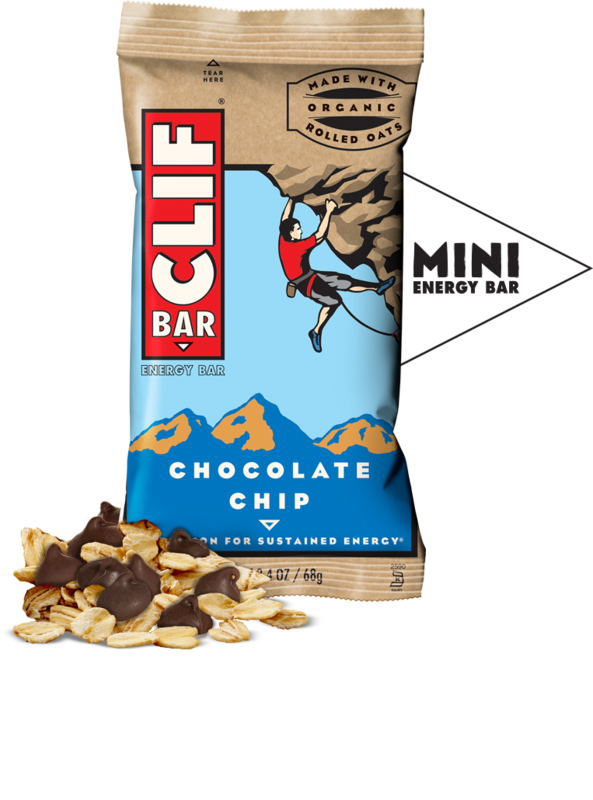 An 18-count box of Shot Bloks Orange with Caffeine, 18-count box of mini Clif Bars – 9 Chocolate Chip and 9 White Chocolate Macadamia Nut, and 12-count box of Chocolate Coconut Almond LUNA Protein bars. I was SO grateful for all of the products we received, the amount sent was extremely generous. However, I am a picky eater and not a fan of coconut... so I reached out to all of the other Pros to see if anyone had a different flavor and was willing to swap. Luckily for me, Jenn (The Cupcake Runner) wasn't a fan of the Lemon Vanilla, so we each shipped our boxes to each other – thanks again, Jenn! 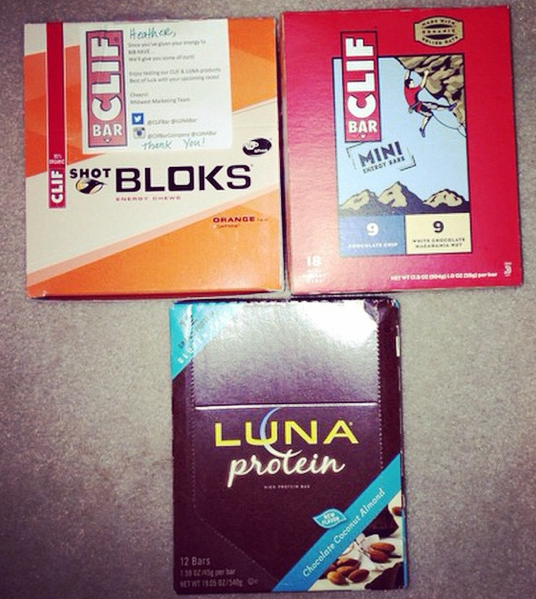 Featured: LUNA Protein Bars, Clif Bar Minis, and Clif Shot Bloks. On my long runs (which for me is 6+ miles), I eat one Shot Blok every 2 miles. They have been coming in handy during my ongoing Dopey Challenge training. I've brought them along on my 15, 17, and 20 mile runs. I liked the orange flavor, though got a bit of a mediciny like after taste. I really liked the extra boost of caffeine, as it helped give me the push needed to finish those longer miles (each one being my longest run until that next one). The Bloks don't bother my stomach at all, and I find them easy to chew. Their packaging is much easier to deal with than other chews I've tried – they have a nice perforation that you pull down on the top rather than needing to peel apart, so it's easy to get the chews out. If you have trouble with this, you can also put the chews in a snack size ziplock bag for easy access. I have no problems fitting these in my Flipbelt or my Orange Mud hydration pack. They are a great fuel option, and I usually use them in conjunction with ENERGYbits – no tummy problems, and the combo keeps my hunger at bay when I'm out there for 2+ hours. If you're curious, I drink Nuun on my runs. Again, no stomach issues for me. I will continue to use the Shot Bloks, but I'll admit that orange won't be my first pick – I generally go for the berry flavors (love the mountain berry, black cherry, cran-razz, strawberry, and tropical punch). It's just my preference. I let my husband try one, and he enjoyed the flavor. I hear the margarita is phenomenal, so I'll have to give those a try sometime soon. Angie and I swapped a few packages when we met up at the Chicago Marathon, so I was able to try the Mountain Berry. Great taste! Thanks for sharing, Angie! A perfect snack to hold off the hunger while waiting to eat lunch. Yes, I enjoy pre-lunch snacks. Flavor options for the full bars (there's a LOT and I want to taste all of them except the ones with coconut, obviously haha): apricot, banana nut bread, black cherry almond, blueberry crisp, carrot cake, chocolate almond fudge, chocolate brownie, chocolate chip, chocolate chip peanut crunch, coconut chocolate chip, cool mint chocolate, crunchy peanut butter, iced gingerbread, maple nut, oatmeal raisin walnut, peanut toffee buzz, pecan pie, sierra trail mix, spiced pumpkin pie, white chocolate macadamia nut. Flavor options for the minis: chocolate chip, crunchy peanut butter, chocolate brownie, white chocolate macadamia nut. Those all sound yummy. 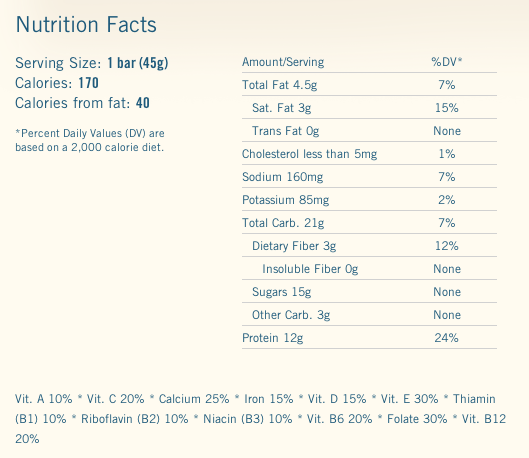 Chocolate Chip Mini Nutrition Facts. The full ones are also a good source of protein and fiber. 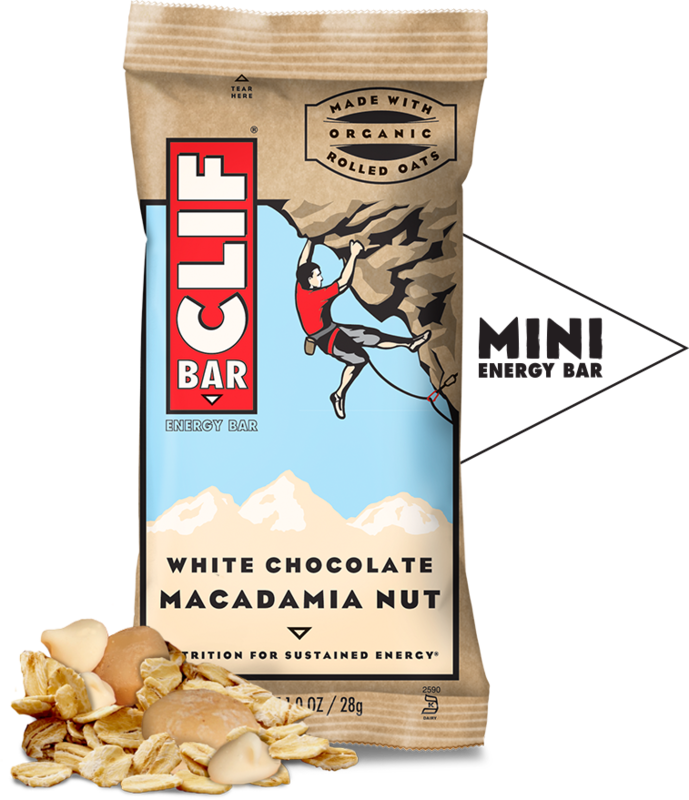 White Chocolate Macadamia Nut Nutrition Facts. As stated above, I traded with Jenn for the Lemon Vanilla. While some people don't like this flavor, I think it's delicious! It reminds me of the Lemonade Girl Scout cookies. 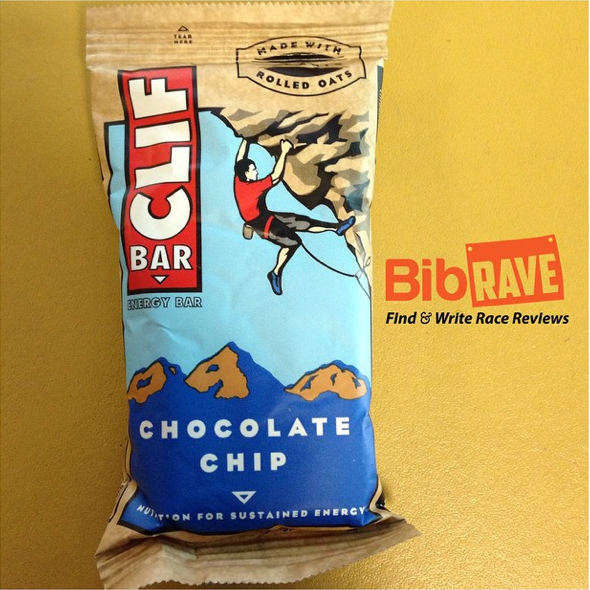 I had a sample of this flavor at the Chicago Women's Half Marathon Packet Pickup and thought it tasted great. Since it's packed with protein, I like to eat them after workouts. I add it to my gym bag and eat it on my way out. Works like a charm. I've also had the Chocolate Peanut Butter and Chocolate Chip Cookie Dough – both delightful. Other flavor options include Mint Chocolate Chip, Chocolate Coconut Almond (which I swapped), and Chocolate Cherry Almond. 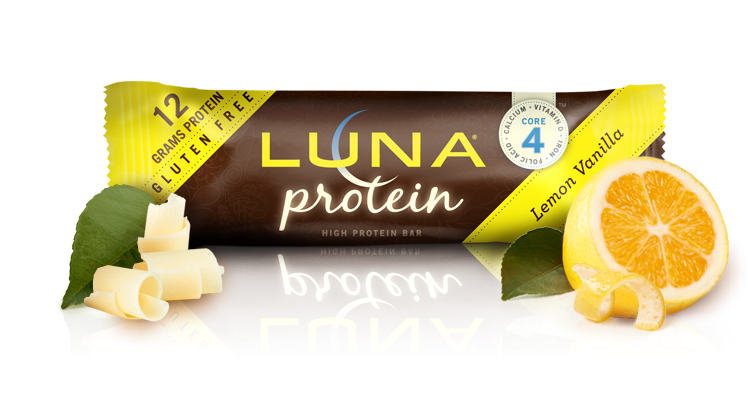 • Zesty lemon with a creamy finish, their first non-chocolate protein bar. • Sweet satisfaction in a high protein bar created just for women. LUNA Protein lets us indulge while it helps us stick to our best intentions, with nutritious ingredients and the power of protein to keep us feeling full. LUNA Protein Lemon Vanilla Nutrition Facts. Have you ever tried any of these products? 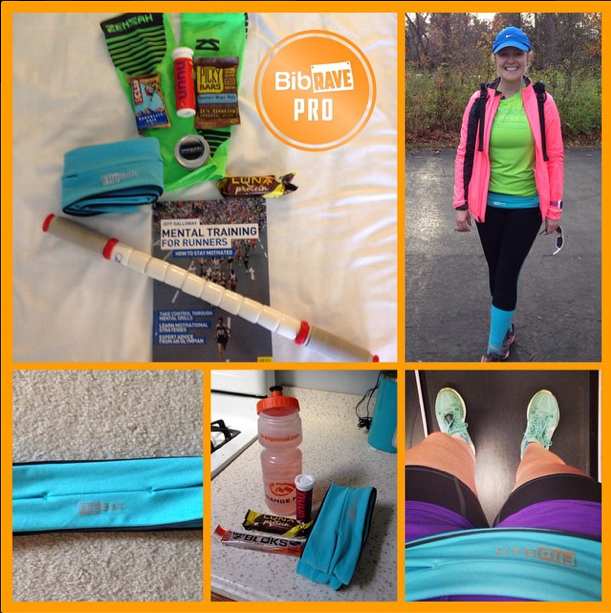 Do you use them to fuel your runs? What's your go-to? 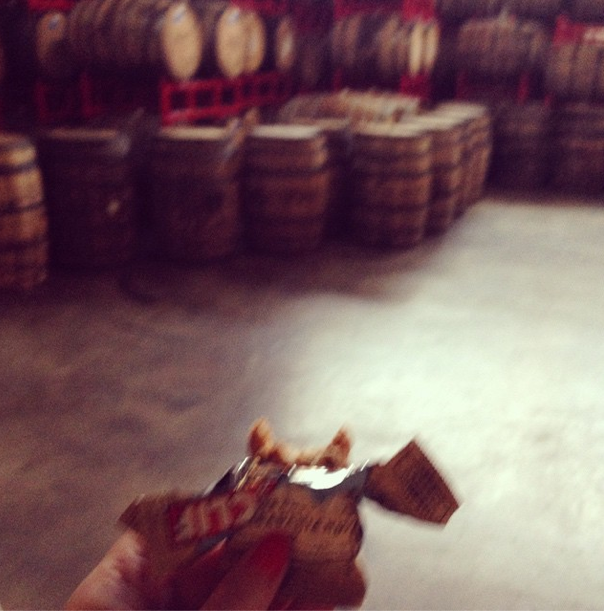 Me too - I use the bars as pre-run or post-run snacks.